Fredericka Dorothea Augusta Vorwerk was born on 6 March 1871 in St. Anthony (later Minneapolis), Hennepin County, Minnesota. She was known as Freda. Ludwig Wilhelm Philipp Franz Vorwerk and Johanna Faber appeared in the Minnesota state census of 1 May 1875 in Minneapolis, Hennepin County, Minnesota, enumerated with the surname "Varwich.". Other members of the household included Fredericka Dorothea Augusta Vorwerk, Frederick William Vorwerk, Elizabeth Eva Vorwerk and Louis Vorwerk. Ludwig Wilhelm Philipp Franz Vorwerk appeared in the US federal census of 1 June 1880 in Minneapolis, Hennepin County, Minnesota, at 5th Street. Other members of the household included Fredericka Dorothea Augusta Vorwerk, Johanna Faber, Frederick William Vorwerk, Elizabeth Eva Vorwerk and Louis Vorwerk. Ludwig Wilhelm Philipp Franz Vorwerk and Johanna Faber appeared in the Minnesota state census of 1 May 1885 in Minneapolis, Minnesota. Other members of the household included Fredericka Dorothea Augusta Vorwerk, Elizabeth Eva Vorwerk and Louis Vorwerk. According to the 1888 Minneapolis City Directory, Rank & Ernst grocers, at 501 NE 4th, was just a block away from Vorwerk family grocers at 332 NE 5th. She witnessed the marriage of Edwin A. Cadwell and Elizabeth Eva Vorwerk on 7 November 1888 in Minneapolis, Minnesota; by license issued on the 6th, with Kingsley F. Norris, MG, officiating. She married Samuel Rank Ernst, son of John Ernst and Sophia Rank, on 8 May 1889 in Minneapolis, Minnesota, by license issued the same, with Kingsley F. Norris, MG, officiating. The marriage was witnessed by Louis Vorwerk and Edwin A. Cadwell. Samuel Rank Ernst and Fredericka Dorothea Augusta Vorwerk appeared in the 6 April 1891 census of Canada in Berlin, Waterloo North, Ontario, Canada. Samuel Rank Ernst and Fredericka Dorothea Augusta Vorwerk appeared in the 31 March 1901 census of Canada in Berlin, Waterloo County, Ontario, Canada. Other members of the household included Vorwerk Ernst and Harold Victor Ernst. A photograph of the Ernst family's 19 Roy Street residence was made about 1908. On the porch, Freda Ernst, Edwin Cadwell and his wife Eliza, Freda's sister. Also present, left to right, are Freda's sons Harold, Earl, and Vorwerk with his bicycle. Samuel Rank Ernst and Fredericka Dorothea Augusta Vorwerk appeared in the 1 June 1911 census of Canada in Berlin, Waterloo County, Ontario, Canada, at 19 Roy Street. Other members of the household included Vorwerk Ernst, Harold Victor Ernst and Earl Eugene Ernst. Left to right, appearing in the photograph taken on the occasion of the August 1916 wedding of Vorwerk Ernst and Midge Oelschlager, are Vor's mother Freda Ernst, his brother Harold, Berlin Mayor W. H. Schmalz, Midge's aunt Emily Duck McFarlane, groom Vorwerk Ernst, Midge's aunt (and wife of the mayor) Eleanora "Lolly" Oelschlager Schmalz, bride Catharine "Midge" Oelschlager Ernst, Midge's mother Lily Duck Oelschlager, Vor's father Sam Ernst, his brother Earl, and in front, his young cousins Martha and Bernice McFarlane. In a postcard dated 28 March 1918 to August Vorwerk, Fredericka Dorothea Augusta Vorwerk wrote: "Have been wondering how you all are getting along. We are all well and I am fine now, though I dont care much for auto riding. It will take some time for that nervousness to wear off. Wishing all a Happy Easter, Freda." A family photograph was made at Sam and Freda Ernst's 50th wedding anniversary celebration. Pictured are Harold, Sam, Vorwerk, Freda and Earl Ernst. The following appeared on 30 October 1941 in the Minneapolis Tribune: [Died] Fred Vorwerk, age 80 years, 901 W 44th. Member of Royal Arcanum and Woodsmen of the World. Survived by his daughter Mrs. C. W. Covington, one son, Fred Vorwerk Jr., three grandchildren, one great grandchild; one brother, Louis Vorwerk, Ogden Wash; one sister, Mrs. Sam Ernst, Kitchener, Ontario. Funeral services Washburn-McReavy mortuary chapel. No. 2 AF&AM. Interment St. Mary's. Remains will lie in state at the residence Wed. afternoon until 10:00 a.m. Thursday. Fredericka Dorothea Augusta Vorwerk became a widow at the 1943 death of her husband Samuel Rank Ernst. At the time of her death Fredericka Dorothea Augusta Vorwerk was living in Kitchener, Waterloo County, Ontario, Canada, at 19 Roy Street. Fredericka Dorothea Augusta Vorwerk died on 27 September 1949 at age 78 in Waterloo County, Ontario, Canada, at Kitchener-Waterloo Hospital. She was interred at Protestant Mausoleum 24-A, Woodland Cemetery, Kitchener, Waterloo County, Ontario, Canada. The following appeared on 28 September 1949 in a local newspaper: Fredericka Dorotha Augusta Vorwerk, widow of the late S. R. Ernst, died at the K-W Hospital yesterday. Mrs. Ernst came to Kitchener from Minneapolis, Minn., as a bride, 59 years ago, and has been identified with the life and progress of this city ever since. 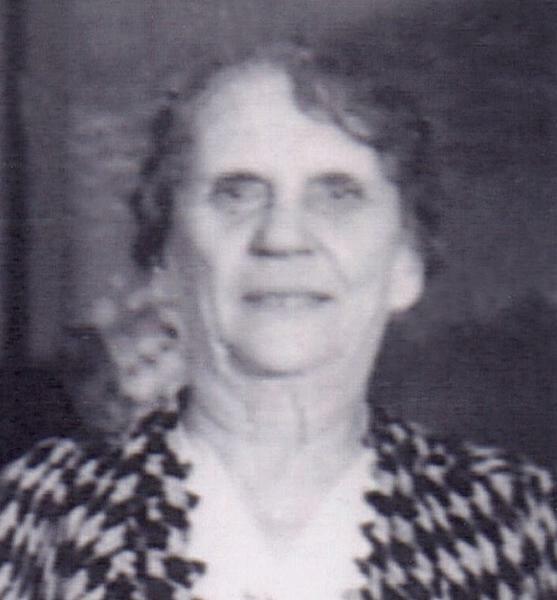 For 25 years she served as treasurer for Paricia chapter, Order of the Eastern Star, and for more than 15 years was treasurer for the Independent Dorcas Society. She was a member of Trinity United Church. Surviving are two sons, Vorwerk and Harold, three grand-children and three great-grand-children. She was predeceased by one son, Earl, and by her husband, S. R. Ernst. The body is resting at the Ratz-Bechtel Funeral Home, where services will be held tomorrow afternoon at 2 p.m., with entombment at Woodland Mausoleum. Rev. O. P. Hossie will officiate. Louis Vorwerk was born in Germany, June 20th, 1832. Was educated in his native country, and came to America the summer of 1852. He lived three years in the state of New York, and three years in Chicago. He came to Minnesota in 1858, and located on a farm in Watonwan county, in which he remained until the Indian outbreak, in 1862, when he was driven from his home. Came to Minneapolis and worked in the furniture business until he accumulated enough to begin business for himself, then opened a grocery at 330 Fifth street north-east. His marriage to Miss Jennie Faber occurred October 10th, 1856, at Chicago. They have four children living: Frederick, Elizabeth E., Louis W. and Fredericka D. A. -- from History of Hennepin County and The City of Minneapolis, published 1881.